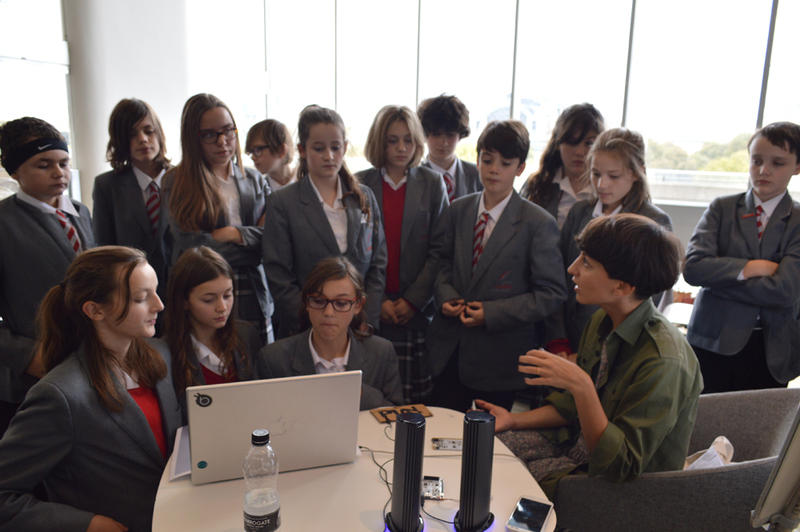 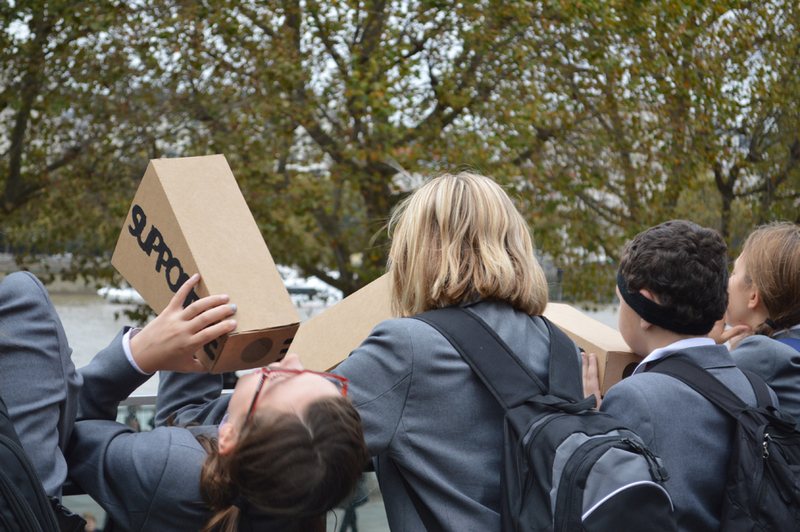 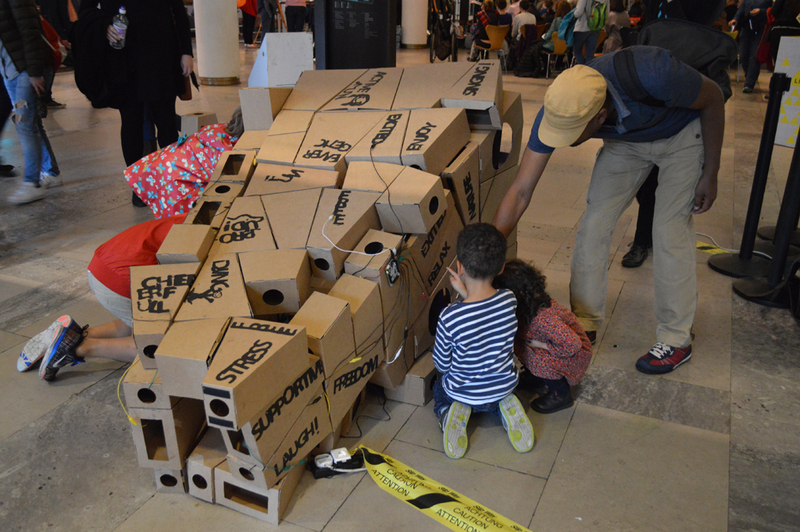 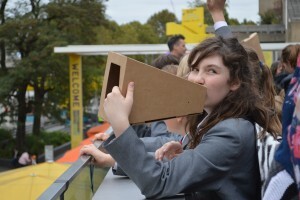 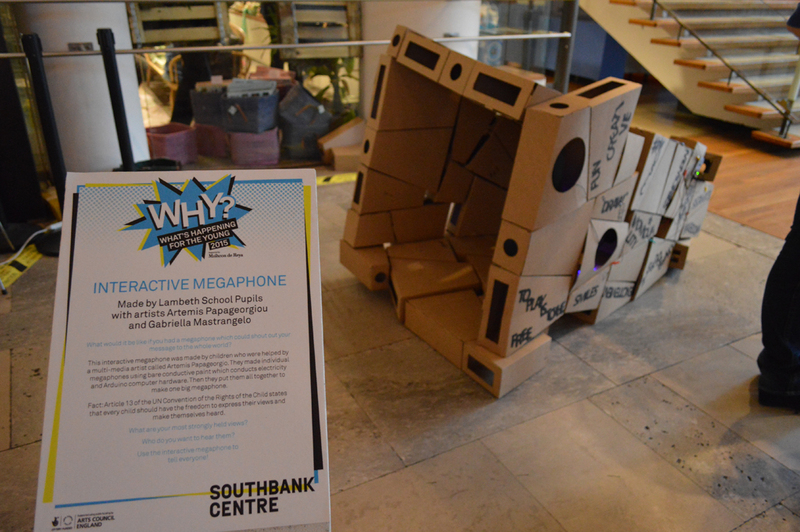 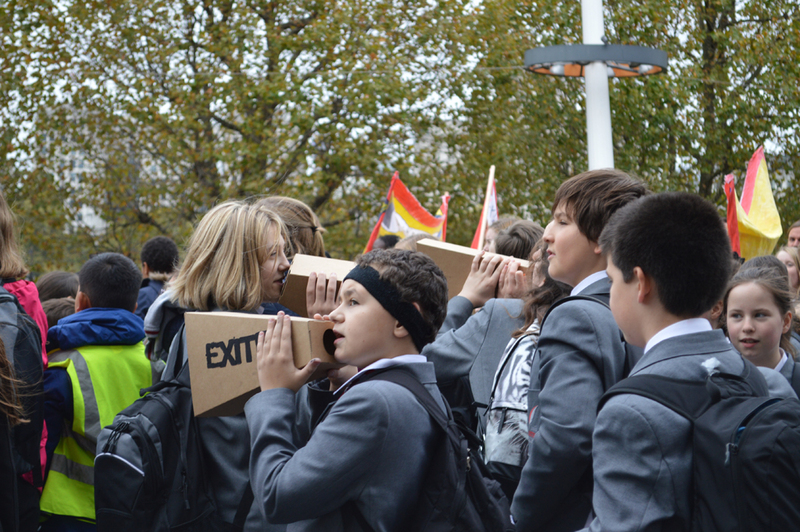 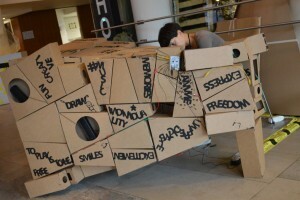 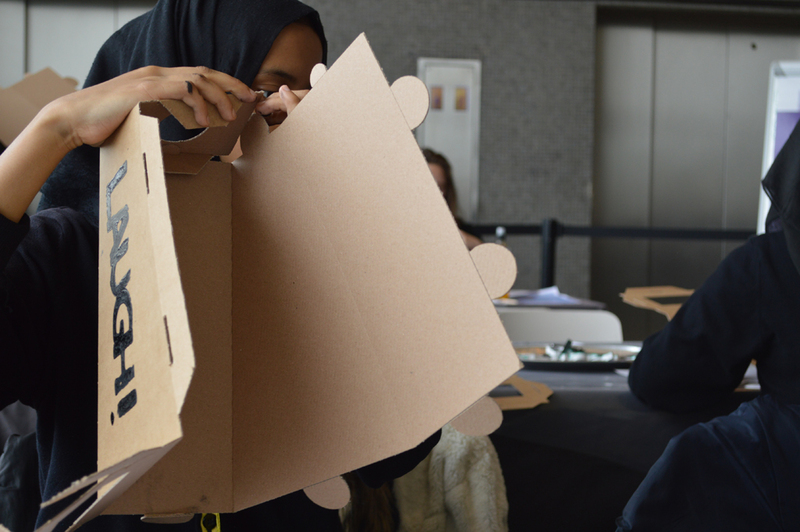 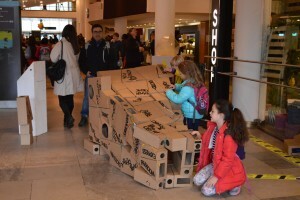 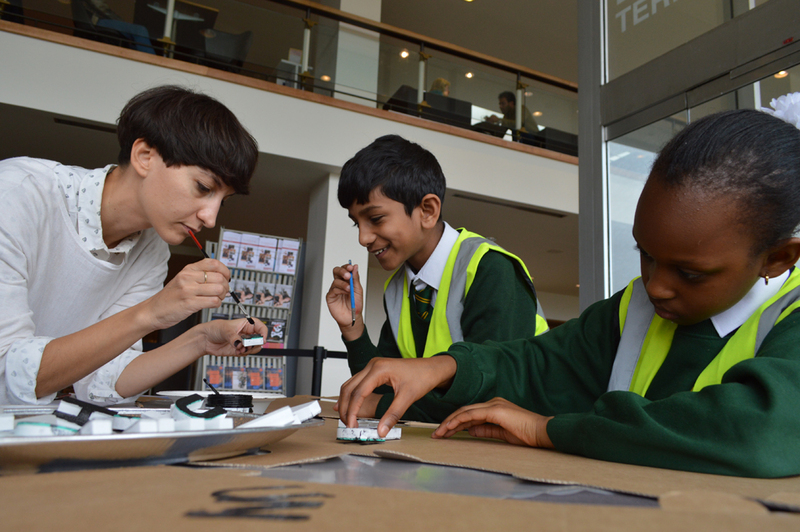 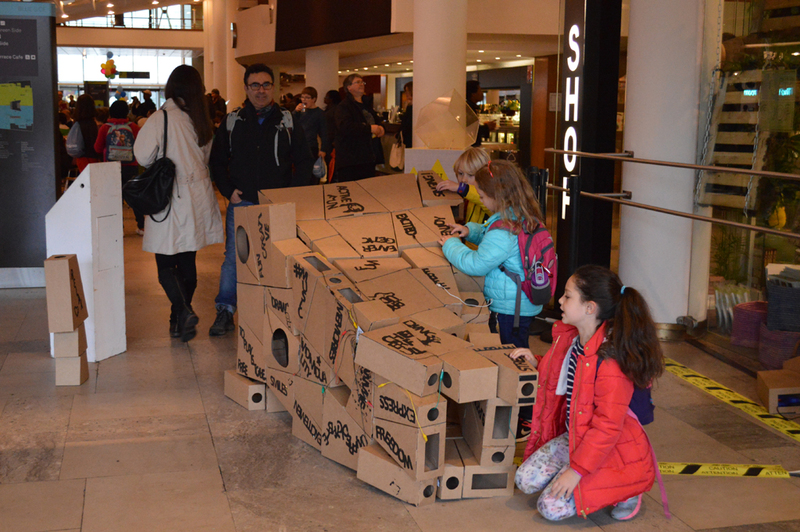 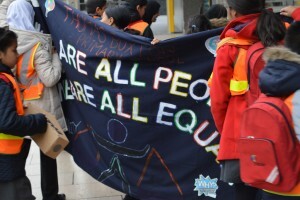 The WHY Interactive Megaphone workshops & installation was part of the Southbank Centre Digital Arts Programme. 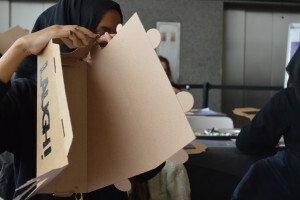 It was designed by artists Artemis Papageorgiou & Gabriella Mastrangelo from Entropika Lab and made in collaboration with school pupils and Marion Lagedamont from LCC Design for Interaction Arts. 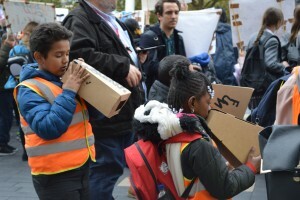 The idea behind the Interactive Megaphone was to allow young people to express their ideas about their right to play as described in the article 31 of the UN Convention for the Rights of the Child. 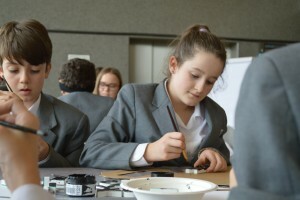 On Thursday and Friday, October 22nd and 23rd four groups of young people attended the workshops. In the beginning we discussed why it is important to play. 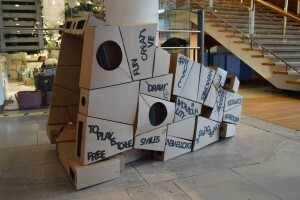 We shared our favourite playful activities, whether games, sports or any hobbies. 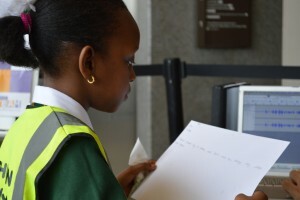 Activities such as swimming, climbing trees, drawing, playing the guitar or video games were mentioned among other. Then we discussed about how we feel when we play. 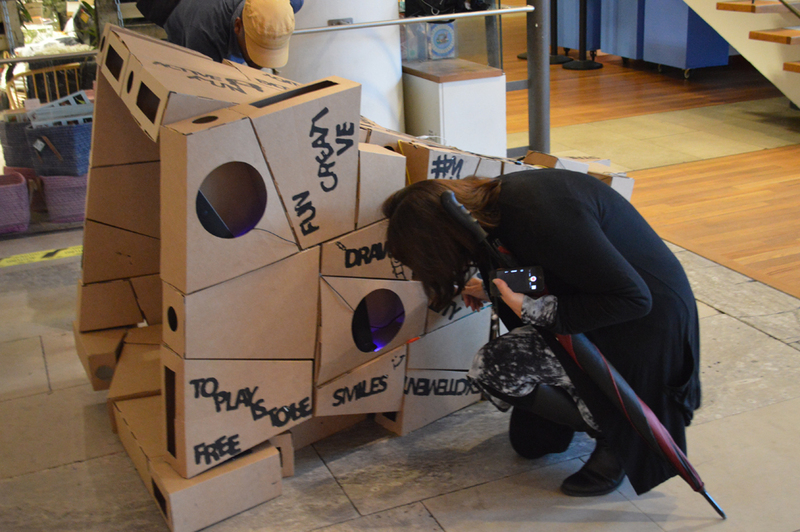 It was important to connect young people’s favourite playful activities with their sensation and emotional landscape during play. 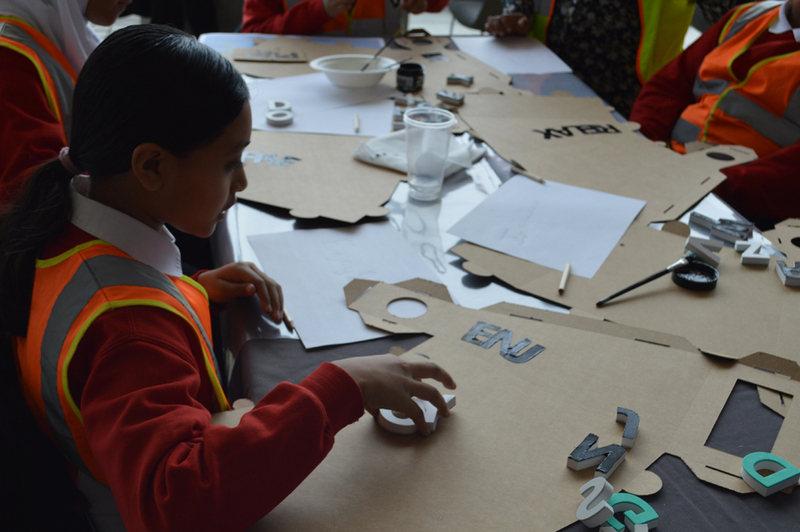 We discussed playing with different mediums, one of which could be technology and digital tools. 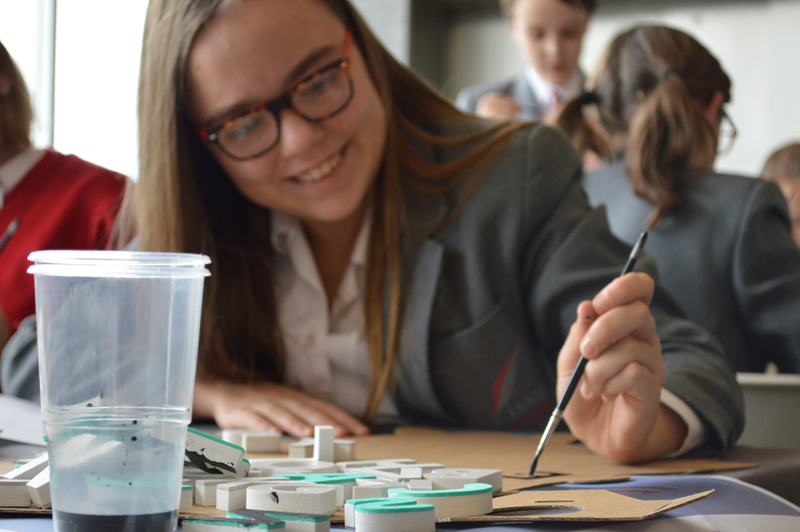 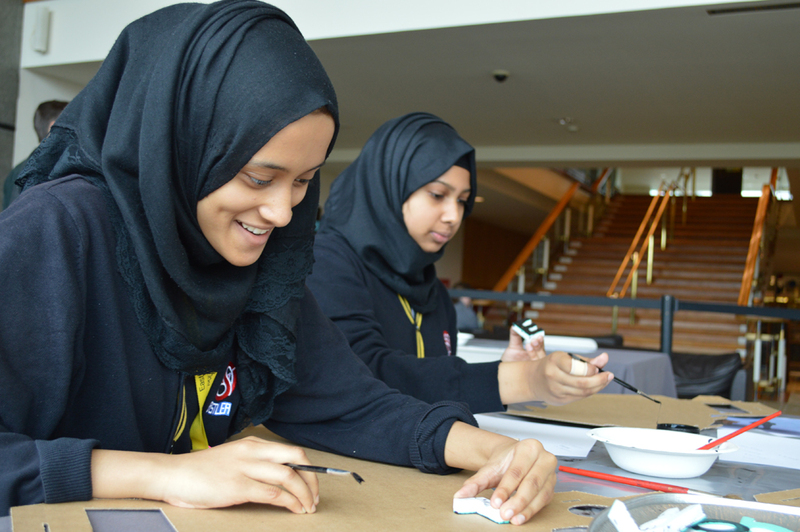 We presented Bare Conductive paint and the Touch Board and explained how they can be utilised. 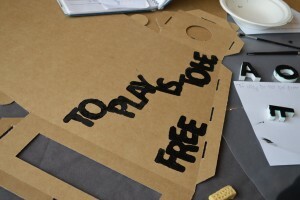 We invited young people to then write down one word about play and a message about why it is important for them to play. 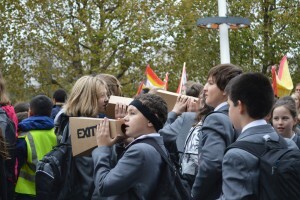 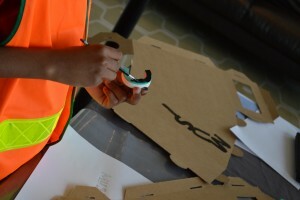 They used Bare Conductive paint to transfer the words on the paper modules that were designed as part of the Interactive Megaphone. 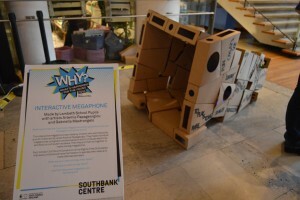 We then asked them if they wished to record their messages and many of them did! 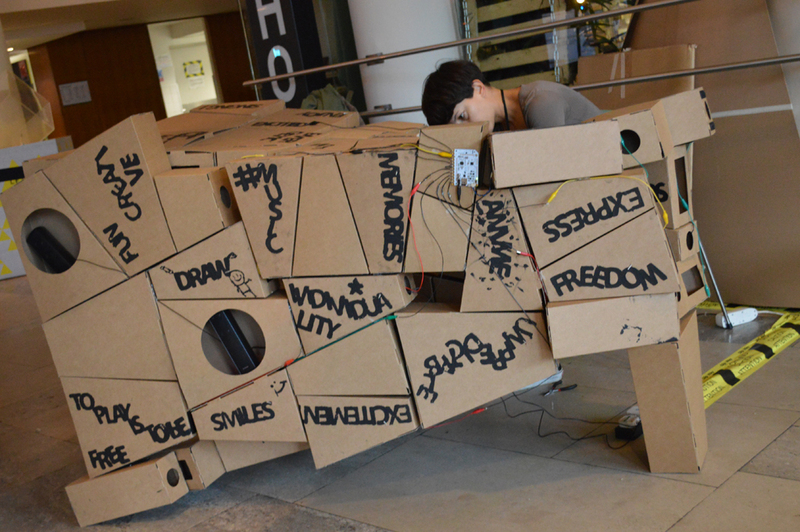 The painted words were used as touch switches and by touching them one could hear back their messages about play. On Thursday, after the two first workshops, participants could take their single paper megaphones to the parade and use them to shout loud their messages!